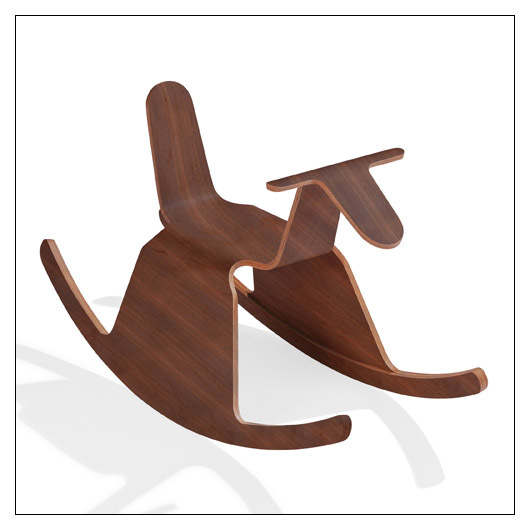 Riga Roo Molded Ply Rocking Kangaroo (RIGAROO) at Pure Design Kids / Toys / Rockers ::: Kids' Toys, Furniture and More at Pure Design Kids! A rocking toy made of a single molded piece. The minimalistic yet very archetypal shape makes it an intriguing toy.